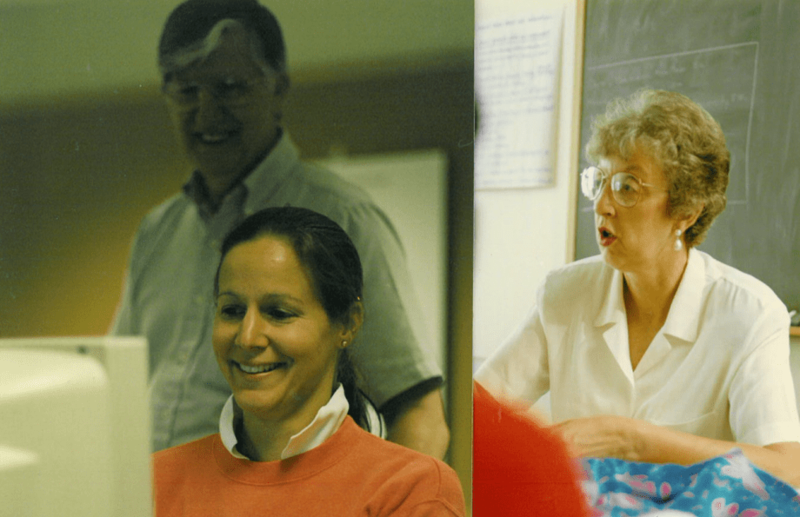 Gordon College graduate education celebrates its 20th anniversary this year. An idea spearheaded by Tony Pitkin in the late 1980s, the program came to fruition in 1996, after nearly a decade in the making. Graduate education began as a way of giving back to the community by supporting the local teachers who contributed to the excellent, hands-on training that undergraduate students received. Among the very first graduate education cohort were 20 Georgetown public school teachers, who served as supervising practitioners to Gordon’s undergraduate student-teachers. Decades later, Pitkin’s vision has grown into a full-fledged, thriving program with nearly 500 total students. Graduate education offerings have expanded from one degree with two tracks to two degrees with 36 total tracks, taught by 50 faculty members with deep field experience. The reading licensure, which was introduced in 2002, continues to be the biggest program, in part because of its unique science-based approached and its accreditation by the International Dyslexia Association, a distinction shared by only 16 other schools. Graduate education also has membership in the Association of Christian Schools International (ACSI) and accreditation through the New England Association of Schools and Colleges (NEASC). Degree programs are approved by the Massachusetts Department of Elementary and Secondary Education and by the Massachusetts Board of Higher Education. A small host of leaders have carried the graduate education program through its years of expansion. After Pitkin’s retirement, Muriel Radtke, a key player in the program’s initial launch, took the helm. Malcolm Patterson then served as director until 2008, when current director Janet Arndt stepped in. Arndt also directs Gordon’s new Master of Arts in Leadership and Education Specialist in Leadership, which drew aspiring Christian leaders from around the country for the inaugural cohort in the summer of 2016. Graduate education will kick off a year of celebrations this coming Monday, October 31, with a Pineapple Project reception from 1–3 p.m. in the Division of Education wing in Jenks Library.